Up until recently, I’ve never experimented with supplements. But the more active I’ve become, the healthier I behave and the more research I pore into what I should be doing to stay as optimally fit as I want to be. Short answer? You really are what you eat. When I was first introduced to Genuine Health‘s products, it was to try out its greens+ Extra Energy line just before a tough workout. I genuinely loved it (pun intended). So I was excited to try out its newest line, fermented Greek yogurt proteins+. 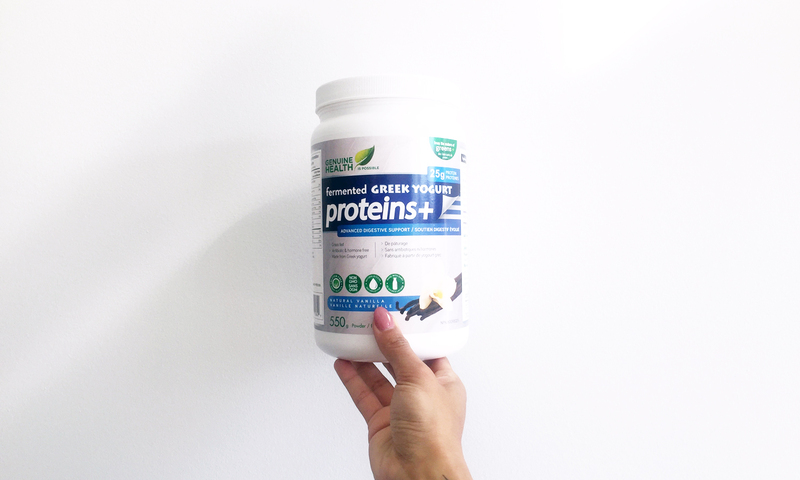 On the technical side, Genuine Health’s fermented Greek yogurt proteins+ packs in 25g of protein, but in a way that is more fully digested and absorbed by your body. The fermentation of this particular supplement promotes just that. The first of its kind to be made out of Greek Yogurt, the supplement is also very tasty. Stay tuned for my own original recipe soon! In the meantime, Genuine Health has also created some delicious fermented Greek yogurt proteins+ bars for those who really need to grab and go — my favorite being the Cinnamon Pecan. I swear by these. 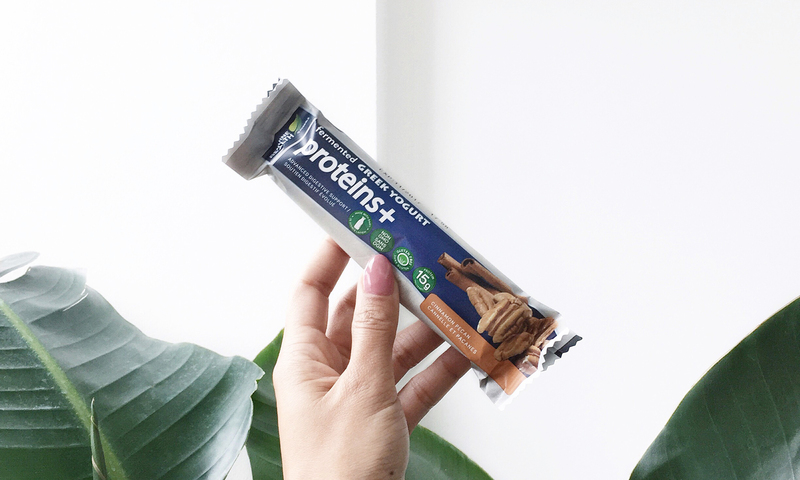 With 15g of protein — also harnessing the power of fermented foods for better digestion and absorption — the bars are coated in vanilla, making them seem more like a treat. There’s really no reason why you’d choose, say, a chocolate bar over these. They’re that good. Overall, my experience with fermented Greek yogurt proteins+ has been positive. As someone who leads a very active lifestyle, it’s important for me to fuel my body properly. Genuine Health helps me do that.